Say goodbye to the password. 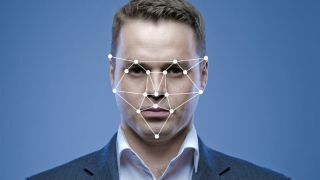 Lloyds Bank customers will soon be able to log into their accounts through fingerprint scanners and facial recognition technology, rather than typing in passwords. According to the bank's press release, it has teamed up with Microsoft to bring the Windows 10 authentication technology to its customers. The biometric authentication technology, which Microsoft named Windows Hello, uses a combination of infrared technology and advanced software to identify the user in various lighting conditions. It was also emphasised that fraudsters can’t bypass the security measure by using a photograph. “With customer experience and security at the forefront of our minds, we are keen to run this pilot to explore the new functionality Windows Hello could give our customers,” said Gill Wylie, Chief Operating Officer, Group Digital & Transformation, Lloyds Banking Group. Microsoft was, obviously, happy with Lloyds Bank’s choice. “This Lloyds Banking Group pilot marks another significant step towards an era of more personal computing,” said Ryan Asdourian, Windows & Devices Lead, Microsoft UK. “With more than 400 million active users of Windows 10 able to take advantage of Windows Hello, it’s great to see a major financial services institution looking at how it can apply this technology to transform the customer experience.